Let's begin by opening up our strings example step file. But this time, instead of opening it up in our text editor, let's go ahead and open it up in a different type of program called an IDE. So I'm going to jump to my examples folder and I'm going to open up test dot php in a program called Komodo. Komodo is one example of an application called an IDE. IDE stands for Integrated Development Environment. It gives you some tools to be able to work with code that aren't present in most text editors. 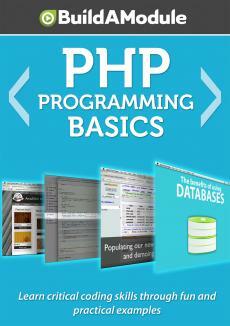 There are several good IDEs out there working with PHP. One of which is Komodo. There's a free version of Komodo called Komodo Edit.